What is the FISH test on spermatozoa? The fluorescence in situ hybridisation (FISH) is a technique that has revolutionized classic cytogenetics by applying knowledge on molecular biology. Thanks to this technique, we can examine the genetic material of male gametes by using fluorescent probes that are specifically attached to a certain chromosome and through which we can display the number of these on each of the ejaculated spermatozoa. The analysis through FISH on the ejaculated sperm will allow us to determine the levels of spermatozoa with abnormal chromosome count and to evaluate whether they exceed the limits of normality or not. Why is this technique important? Any somatic cell in the human body has 23 pairs of chromosomes, in other words, 2 copies of each chromosome. On the other hand, in order for human gametes (spermatozoa and ova) to be normal in terms of their chromosome content they must have 23 chromosomes, that is to say a single copy of each chromosome. In order to be able to reduce their chromosome count by half, a complex process of cell division, which is called meiosis, is required. If this process is not carried out correctly, chromosomes won’t be distributed equally and gametes with chromosomal abnormalities will be formed. How many chromosomes are studied? The FISH test on spermatozoa usually analyses 5 chromosomes, the sexual chromosomes (X and Y) and the chromosomes 13, 18 and 21. This analysis can be extended to other chromosomes upon recommendation of the clinical history. 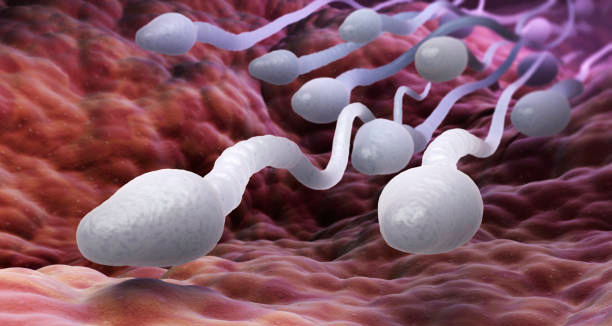 The number of spermatozoa analysed is usually 1.000. Do you wish to fix an appointment? How is the sample sperm obtained for its analysis?